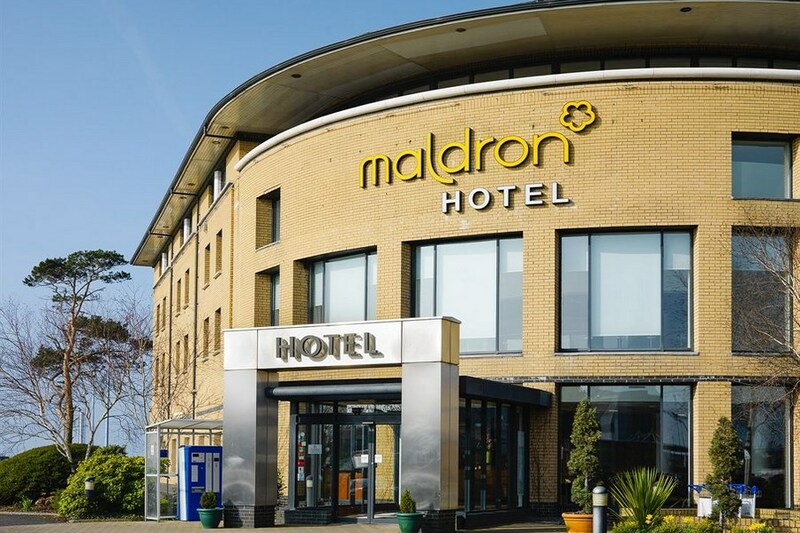 Maldron Hotel Belfast is a 50 metre walk from Belfast International Airport Aldergrove and a short 20 minute taxi journey from the Belfast City Centre. An express Ulsterbus service runs approximately every 30 minutes 24 hours a day to the hotel from the city centre.Perfectly located for those wishing to explore the famous sites of Northern Ireland the hotel offers guests free parking & wifi.Please note that you will need pay the Euro amount to the Hotel in Sterling at check out.Family rooms at this Hotel consist of one double & one single bed. 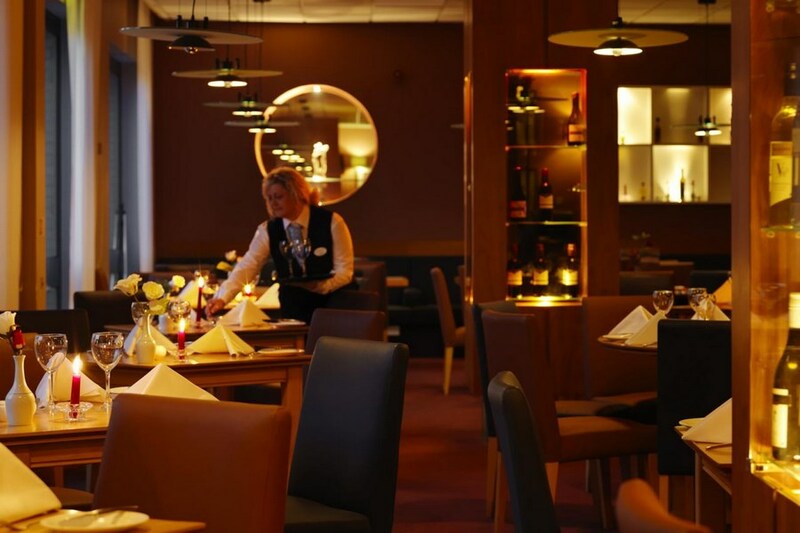 Maldron Hotel Belfast is a 50 metre walk from Belfast International Airport Aldergrove and a short 20 minute taxi journey from the Belfast City Centre. An express Ulsterbus service runs approximately every 30 minutes 24 hours a day to the hotel from the city centre. great hotel, a good 25 mins drive from belfast city, but close to all major roads, so not a huge problem! Bang on, almost at the entrance to the airport! Comfy bed! tea/coffee making facilities in the room, with the added bonus of a few packets of biscuits! Good call, nothing beats a cuppa and a biscuit after a long journey! Breakfast good, fresh fruit, hot buffet, good coffee!!! 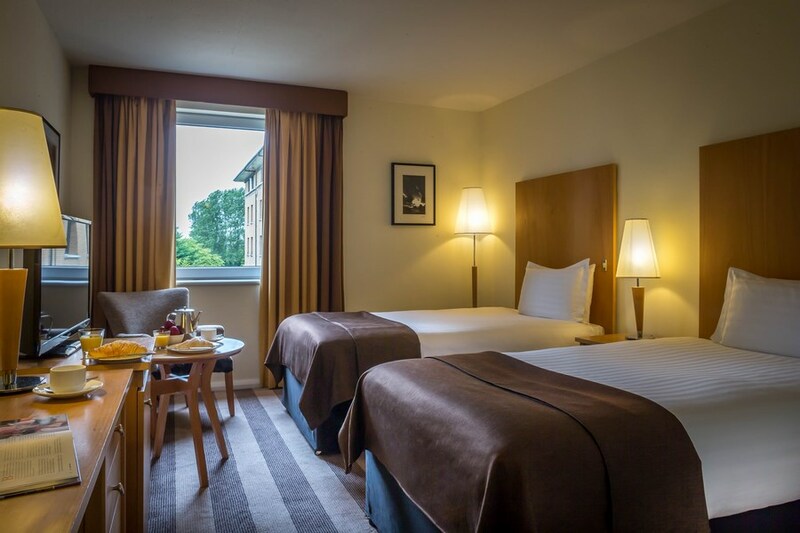 We thoroughly enjoyed our three night stay at the Maldron Hotel Belfast International airport. The location was perfect for visiting the Antrim Coast and downtown Belfast using the Airport bus which saved us from driving and searching for parking in town. The room was lovely and the service was first rate. Staff was very friendly and helpful in our excursion planning. Breakfast was very good especially the day we had menus rather than the buffet which was also good. Loved the option for Lattes and Cappucinos too. It would have be nice to have small bottles of shampoo and lotions in the bathroom. Good location for airport. Both rooms we stayed in dated - not as room advertised on website. We used the Maldron hotel as a base for a family weekend away in Belfast. The hotel was easy to find because we just had to follow the airport signage. It has free parking and it took us 20 minutes to drive to W5 and the Titanic Centre which was fine. We booked for 2 adults and 2 children, but when we arrived we had been allocated a room with one double and one single. This was sorted out at reception and we were quickly changed to a room with a bunk bed for the children which suited us perfectly. The hotel is a fairly standard 3 star but we found the staff were excellent, especially in the dining room where they engaged with the children very well and were very friendly. The breakfast was very good but the starters and mains on the dinner menu were very limited and quite boring. We ended up having a steak which had a £5 supplement. I'm giving 4 stars because of the staff. I was very happy with my stay in the Maldron Belfast. It was clean and quiet. the staff were really helpful and friendly. I would recommend this hotel to my friends.